Research in laser systems for applications always brings new insights in the fundamental aspects of the laser system, its design, its control and the technologies used to fabricate it. 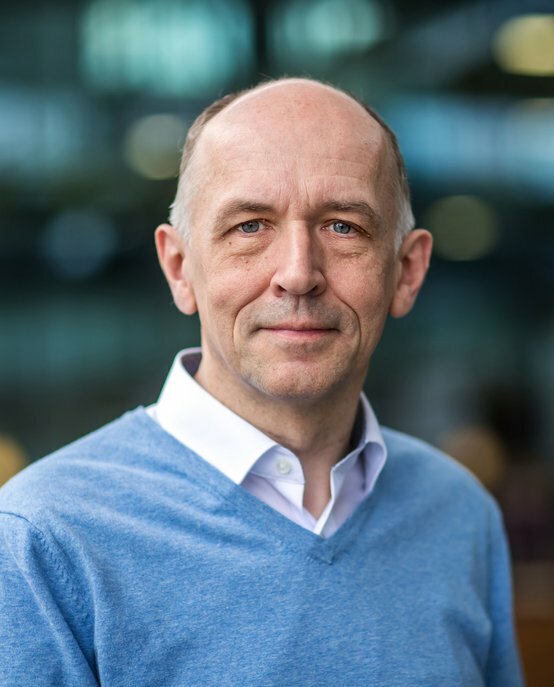 Erwin Bente is an Associate Professor in the area of Laser Based Photonic Integrated Circuits in the Photonic Integration group at Eindhoven University of Technology (TU/e). His key research interests include semiconductor laser design, laser and optical amplifier dynamics, laser designs that are robust for optical feedback, integration of a number of lasers in a single circuit, laser frequency stabilization, extending the wavelength range of photonic integrated laser circuits to increase applicability of photonic integrated circuits and photonic circuit simulation. The main subjects covered by his research are laser systems in semiconductor photonic integrated circuits based on indium phosphide based materials for application in sensing and measurement applications. He is specifically interested in tunable single frequency semiconductor lasers and modelocked frequency comb semiconductor lasers using extended cavities. Erwin’s team has been instrumental in finding a record tuning range for an integrated laser system and a record frequency comb width from an integrated semiconductor modelocked laser. Erwin’s team has also demonstrated that indium phosphide photonic integration technology can be used at wavelengths up to 2 micrometer. They are working on application in strain sensing, position sensors and medical imaging (optical coherence tomography). The team will be working on using more advanced electronic control on laser systems to improve stability, develop integrated laser system for (coherent) interaction with materials and study different integration technologies to improve laser stability. Erwin Bente received his MSc in physics from the Vrije Universiteit, Amsterdam in 1984. In 1989 he received his PhD degree in laser spectroscopy of atoms at the Department of Physics and Astronomy of the Vrije Universiteit, Amsterdam. From 1988 to 1994 Erwin was a researcher, manager in a research group in industry on materials processing using lasers. Between 1996 and 2001 Erwin worked as research team leader on solid-state laser engineering at the Institute of Photonics, University of Strathclyde, Glasgow U.K. In 2001 he joined TU/e. He is the European chair of the IEEE International semiconductor laser conference technical program committee. Visiting Professor, Institute of Photonics, University of Strathclyde, Glasgow, U.K.